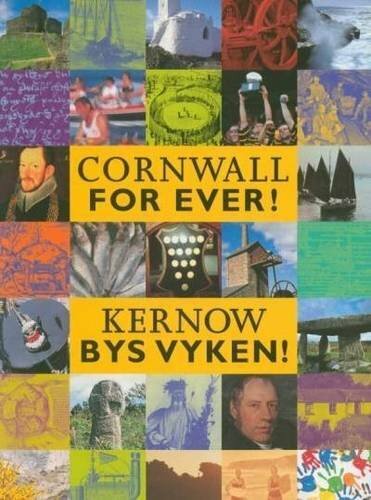 Perran Round | Cornwall For Ever! Perran Round is a large open-air theatre where Cornish plays were performed. It is an important symbol of the Cornish revival of language and identity, and has been used for events by the Cornish Gorsedh. Perran Round (named after St Piran) is Cornwall’s best-preserved plen-an-gwari, which means playing place. This large open-air theatre is 45 metres wide and is surrounded by 2.6 metre high banks. It is one of 30 similar sites that are unique to Cornwall. It may have originally been an Iron Age structure that was later adapted for the performance of plays. Cornish miracle plays were performed at Perran Round in the 1400s and 1500s. Miracle plays were dramas based on religious stories from the Bible as well as the lives of Cornish saints like St Meriasek (the patron saint of Camborne) and St Kea. These plays also told legendary stories relating to life and belief in Cornwall. The plays at Perran Round were performed in the Cornish language. They are among the earliest documents we have that are written in the language. The Ordinalia is the longest play and is based on the stories of the creation of the world, Jesus’ death and his resurrection. These three plays also mention many places in Cornwall, especially around Penryn. Historians think that the plays were first written down by the monks of Glasney College. Perran Round became overgrown and almost disappeared until the 1950s when it was rediscovered and cleared so that it could be used again. The Cornish Gorsedh has used the Round for events on a number of occasions and the miracle plays have been performed there again over the past 70 years. It was also the site of Miracle Theatre’s first play in 1979.
Who was St Meriasek and why do you think a play was made about his life? What play would you like to see performed here? Perran Round would have been decorated with colourful theatrical sets. The audience would have been standing up in the middle with actors performing all around them so that they were completely involved in the story being told.